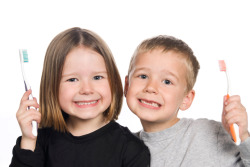 Searching for Family Dental Care in Upland, Chino, Chino Hills or the Surrounding Communities? Click on the Icons below to read what our guests are saying about their dental experience with Dr. Barsoum and his Team! 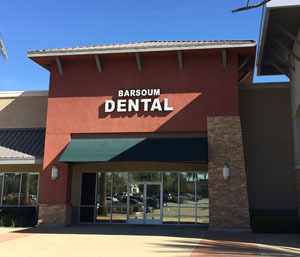 Since 1981, Maher Barsoum, DDS and his experienced team of dental professionals have built a reputation for providing superior family dentistry in Chino, Chino Hills, and Upland. Our online patient reviews speak volumes about our dedication to treating all of your loved ones with the same personalized attention and compassion we’d give to our own family members. Once you experience the quality care and warm atmosphere provided by our family dentist in Chino/Chino Hills and Upland, you’ll understand why so many people trust us to help them achieve and maintain great oral health. Treating families begins with easing children into dental care. We accomplish this by treating children with a gentle touch and making sure that they feel comfortable and safe every step of the way. Most dental phobias stem from scary and painful experiences in the dental chair as a child. However, by making dental checkups and cleanings fun and painless, our Upland and Chino dentists instill in your children a level of trust in dental care that they will carry with them into adulthood. This makes them more likely to see us for regular preventive care and less likely to avoid us if a dental problem arises. • Preventive: We place a strong emphasis on preventive care so that we’re less likely to see you return for invasive procedures. Our preventive services include education on at-home oral hygiene, professional teeth cleanings, dental examinations, low-radiation digital X-rays and oral cancer screenings with ViziLite technology. We recommend that you see us every six months for preventive care. • General: Your Upland and Chino/Chino Hills family dentist and his team of specialists can address the full range of general and restorative dental issues. We treat cavities with composite fillings and porcelain crowns, and if you have more extensive decay, our on-staff endodontist can perform a root canal treatment that is precise and comfortable. Additionally, we have a periodontist on staff who performs treatments for gum disease and places dental implants after tooth loss. Our other tooth replacement options include full dentures, partial dentures and fixed bridges. Finally, if you have migraines, TMJ disorder or sleep apnea, your family dentist in Chino and Upland can alleviate your symptoms with custom oral appliances. • Cosmetic: Once we ensure that your teeth and gums are healthy, we can improve the appearance of your smile with several cosmetic offerings, including professional teeth whitening, traditional porcelain veneers and Lumineers no-prep veneers. We can also correct your misaligned teeth and bite with Invisalign clear aligners and other orthodontic options. From our comfortable, friendly environment to our high standards for quality care, you can trust our Upland and Chino/Chino Hills, CA family dentist to meet the oral health needs of every member of your family in one convenient location. To find out which dental procedures can help you and your loved ones achieve healthy, beautiful smiles, contact us to schedule an appointment for your family. 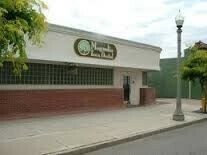 We have recently moved our Chino office from the Pipeline Ave address. 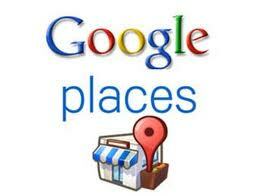 Please find our new location above.